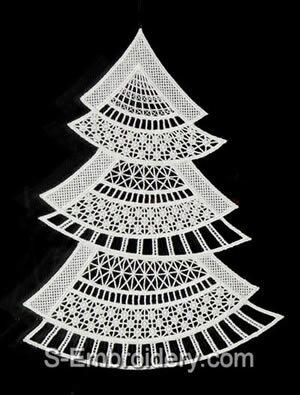 This freestanding lace machine embroidery design will produce a Christmas window decoration. The size of the decoration is approximately 8.5 x 9.5 inches (21.5 x 24 cm). 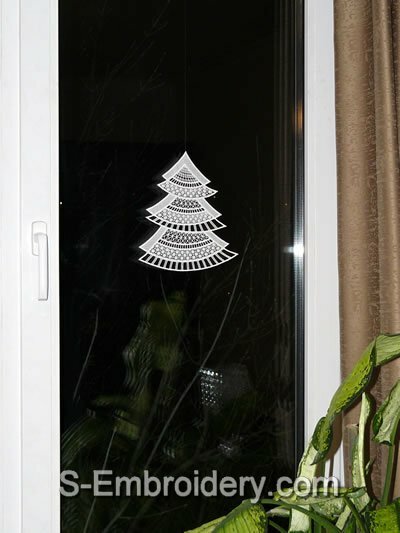 The Christmas tree window embroidery is put together from 4 parts. Delivery includes PDF file with design information and instructions for putting the Christmas tree window decoration together.